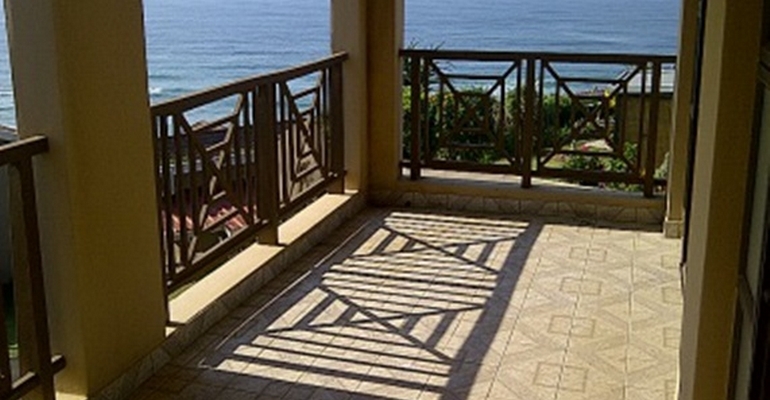 47 La Vista is a well equipped holiday unit in a secure complex in Mtwalume on the South Coast of KZN. The unit has 3 bedrooms and sleeps a maximum of 8 people. This is a duplex unit with a private patio on the lower level and a balcony on the upper level with lovely sea views. The complex is only 500m from the swimming beach with its tidal pool and lagoon. There are 2 swimming pools, a tennis court and a trampoline in the complex and there is 24 hour security onsite. La Vista is the perfect venue for a family getaway.